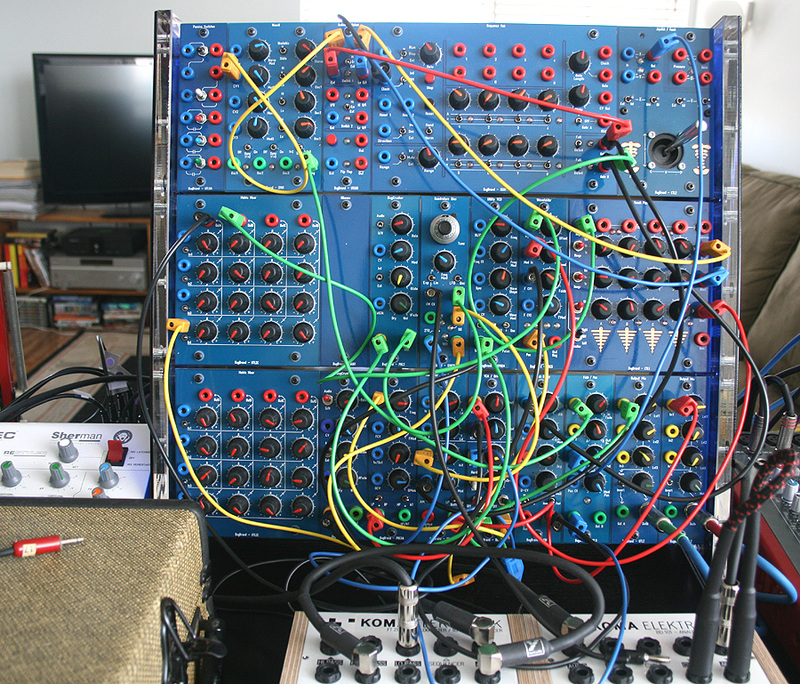 While awaiting to start my journey into BugBrand Modular, I am looking at a lot of set up here and placement of modules that would work in real life. I was thinking if you guys could be so kindly as to post your setup here as a lot of the BugBrand modulars are scattered either on the Frac or in the Banana system pictures. What I had in mind is a repository of set ups and a bit of an explanation why it works out for the individual users. This may be a great resource for young bug users like myself. Hope this does not come out as a bit too much. There we go!!!! This thread needs some more pictures!!!! Someday... someday I will have a picture in here too. Several I assume. 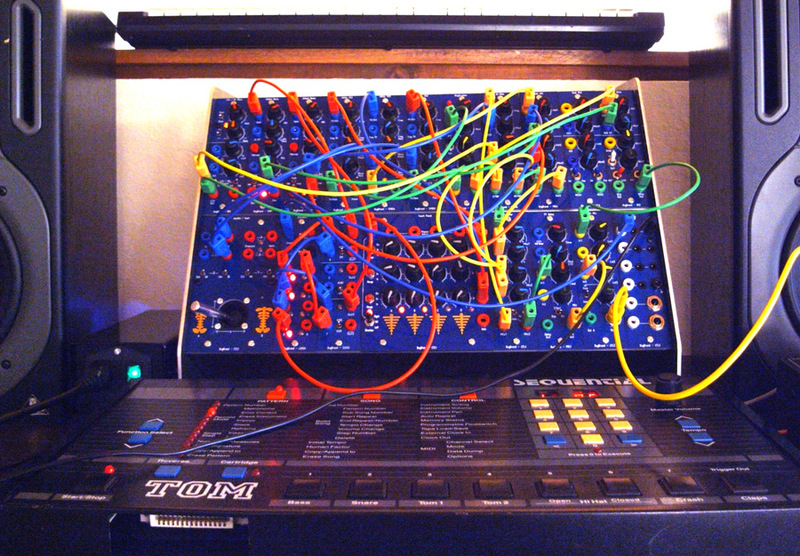 I still haven't unlocked the matrix mixer module, thinking of having it outboard since the system is still in its infancy. A lot of things are still lacking but at least some core modules are already there for me to play around. The filter is great, I can't wait to explore the post of otoskope. Sounds will be posted after I get my head around them. 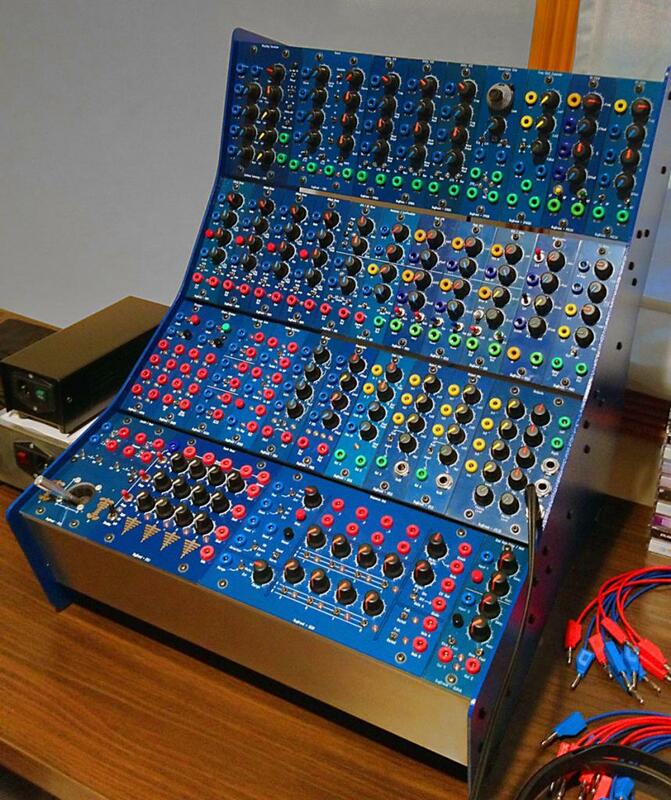 Hey man, the matrix mixer took me awhile to wrap my head around but... once you realize what it can do... it's pretty incredible, and I'm going to snag a 2nd one! Even things as simple as needing to invert a cv signal.... Just remember that it allows you to have 4 separate mixes of the 4 inputs that you have going in. And then in each row.. if you don't want to use that input channel... hit the switch to off for it or, keep the dial near the middle for no attenuation either way - or +. 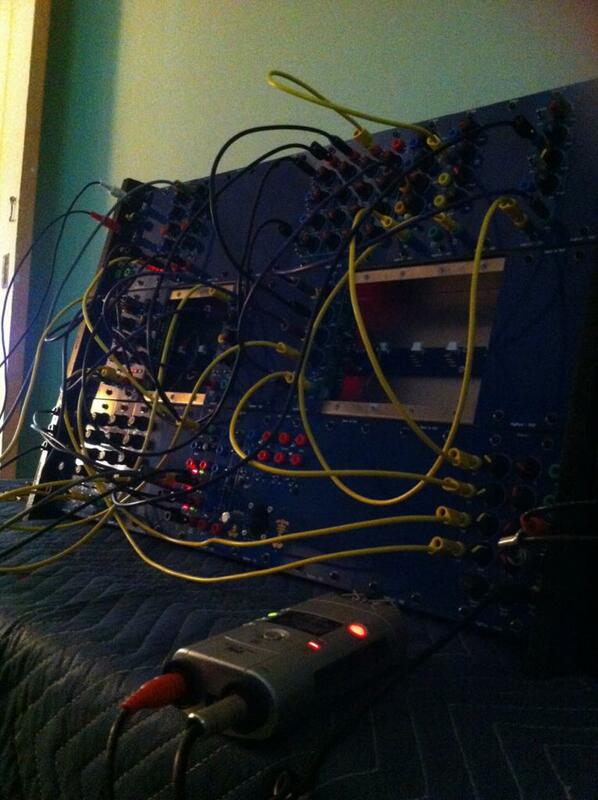 And yeah.. mixing different audio sources is a way as well... feedback loops...etc... 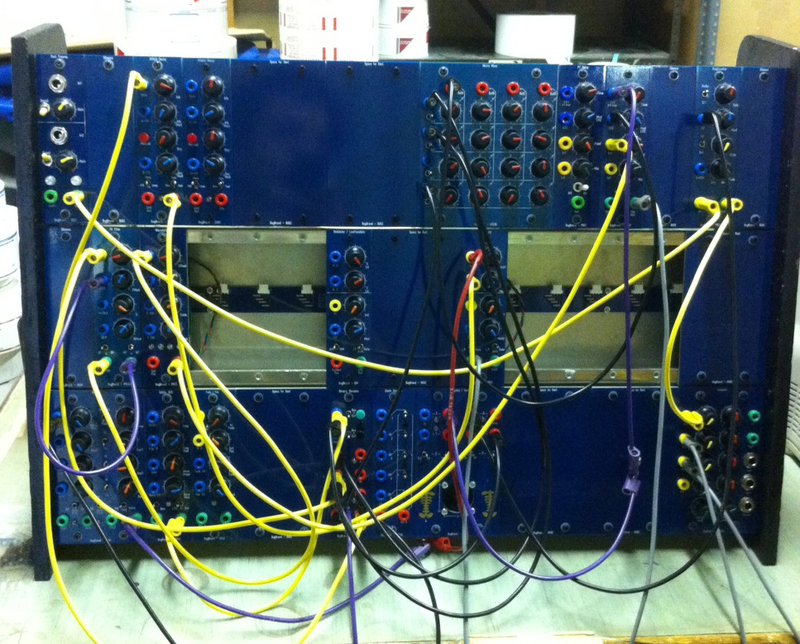 Seriously wicked module, and much used within the bug system! 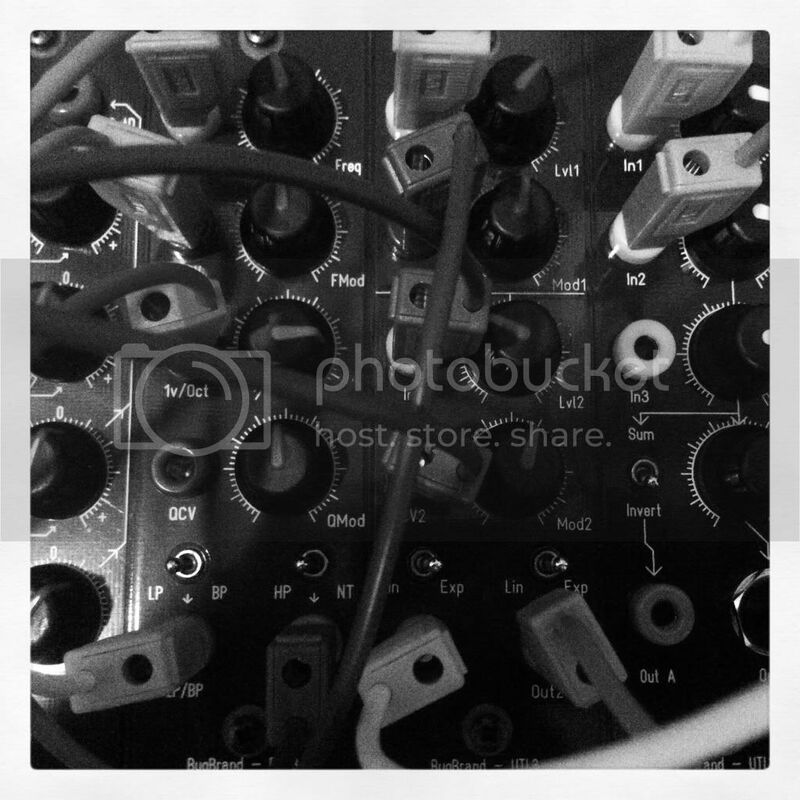 Do you have any demos you could post of this module in action? 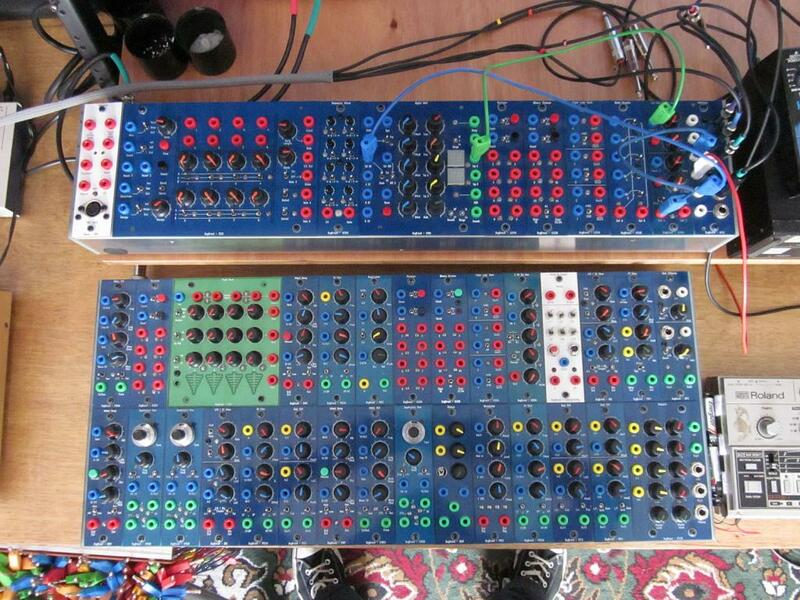 A full rack of BugBrand is the nicest looking modular system ever. And they sound just as good as they look. I bet you can't wait to have that rack finished. I can hardly wait and I just got put on the list! Uhhhhhm, yes I actually do. I've got a hot date coming over tonight tho so... tomorrow I"ll try to go thru the stuff I recorded over the weekend. My Bomber Bug is offically full! Did some rearranging today so here is it's current arrangement. 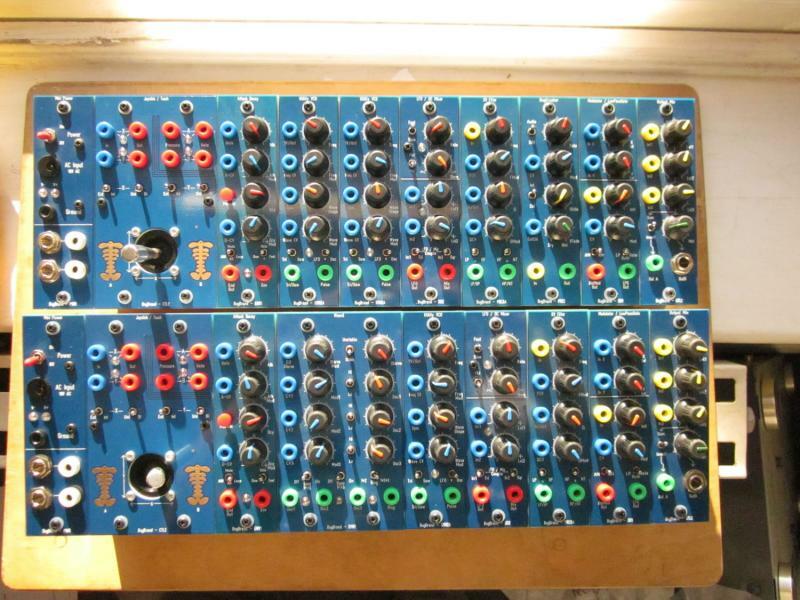 All in all, 233 banana jacks, 144 knobs, 87 switches, 13 buttons, and 6 touch pads! Where things are at right now. 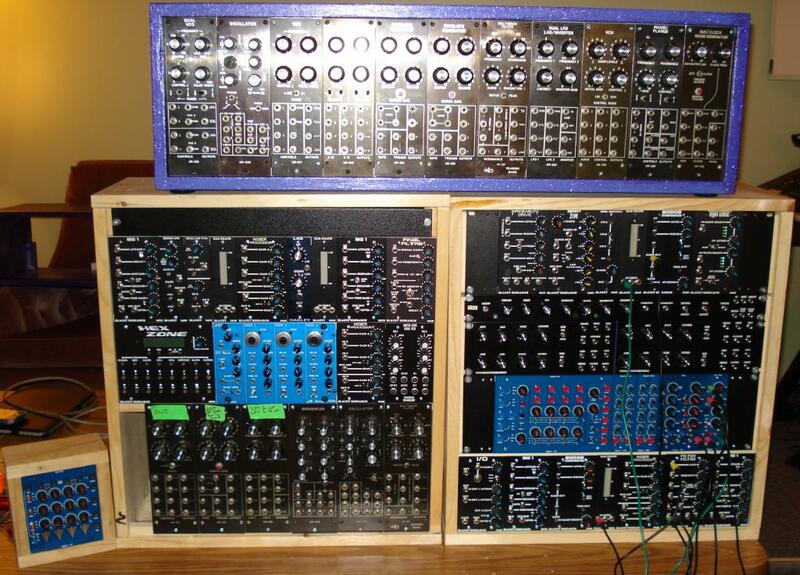 Some of you might recognize some of the modules - thank you, and thank you Tom! Nice! I recognize your acrylic cheeks. 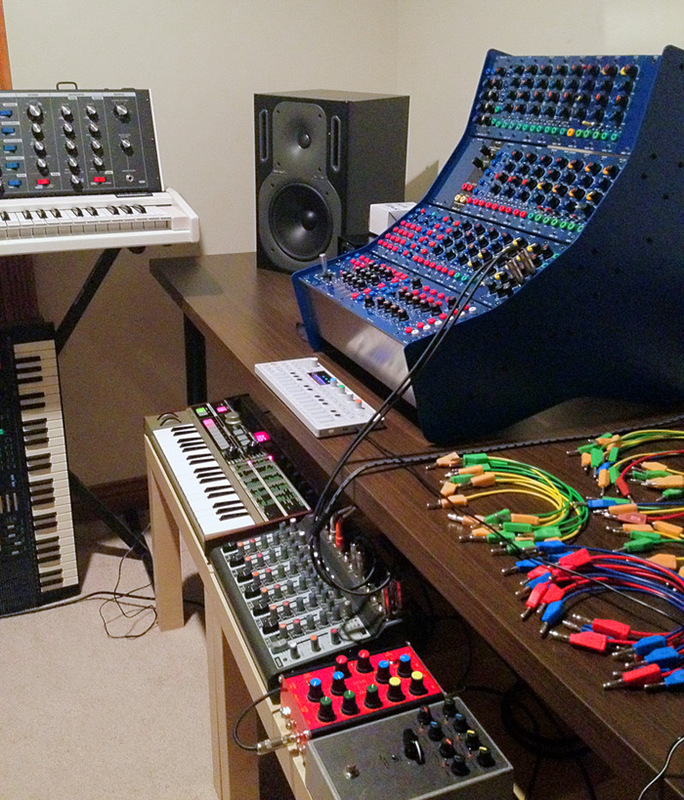 How do you like having two Matrix Mixers? I still need to get one. Nice! I recognize your acrylic cheeks. - thank you! 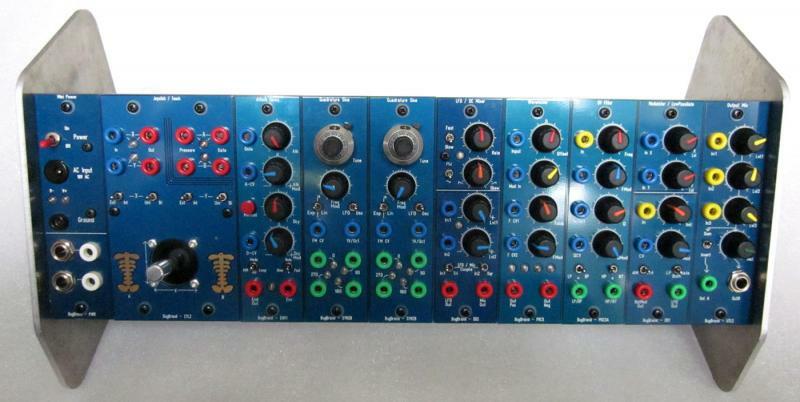 Those are the creation of Low-Gain, they look great. 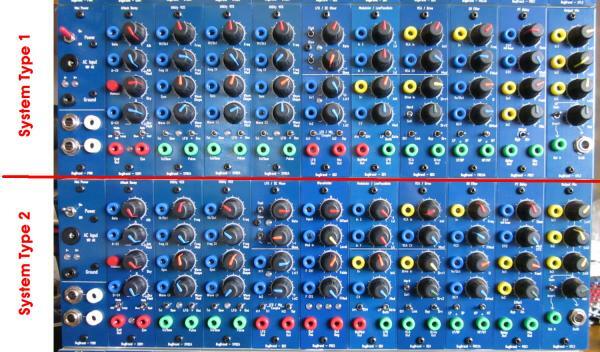 How do you like having two Matrix Mixers? I still need to get one. 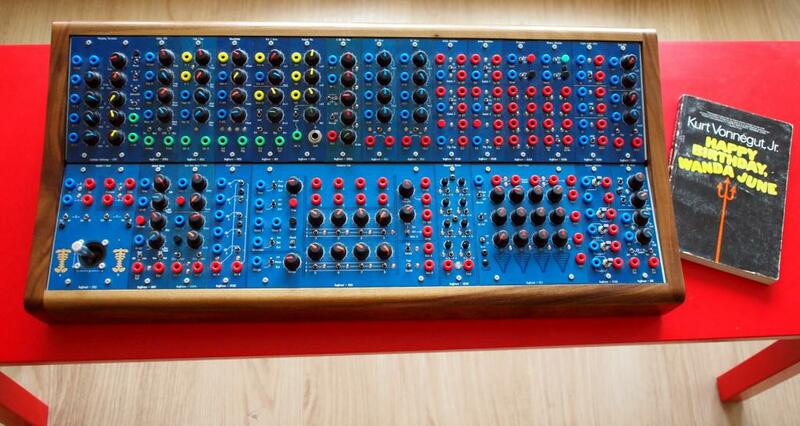 I ended up with 2 matrix mixers and at first thought I would trade one, but I have a feeling I might keep both. 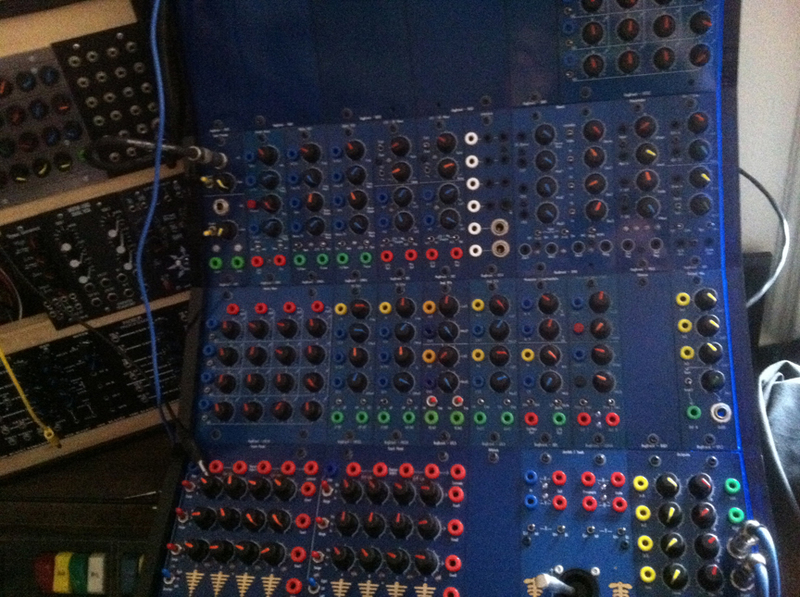 The intention is to mostly use one for audio and the other one for modulation. I like how easy it makes to control variations in one place, for both audio and modulation or even pitch CV, like mixing a sequencer out as the main pitch and then gradually mixing in arpeggios from CTL running at higher rate (gotta try that actually!). well even though i :hate: you now... congrats, scanner-darkly! tis a beautiful little system! 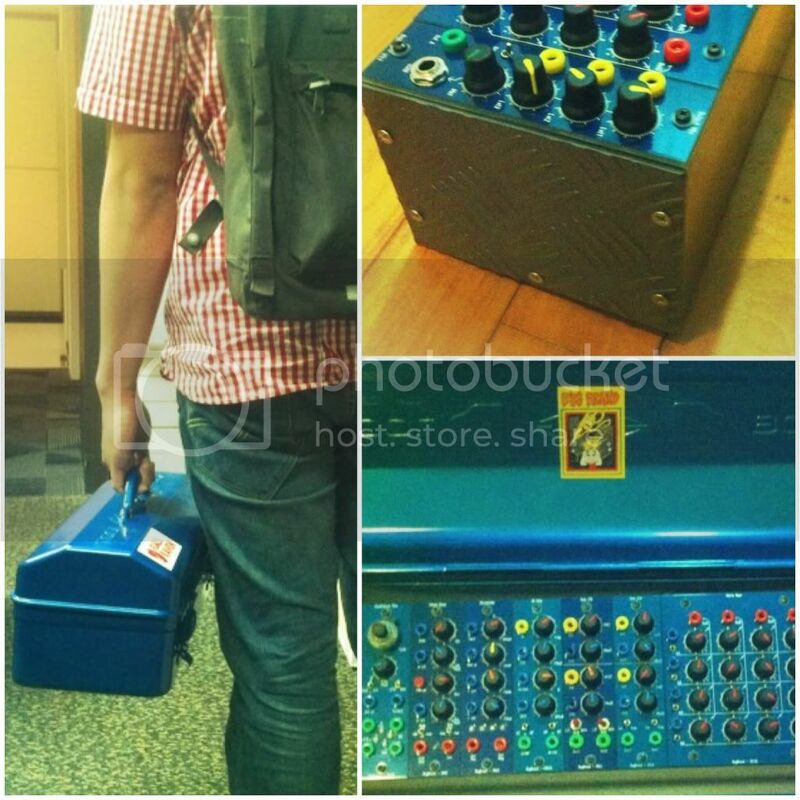 primary timbre & voltage generation / control, greatest instrument i have ever used. The Blue and the wood looks great together! You know I want a copy of that picture for my office wall! I wish I had a whole system. I've been picking up a couple of secondhand modules here and there and now have a full row, just need to DIY a banana<->3.5mm converter panel. Here's my starter system so far. Something seems to be missing. It's amazing the sounds I can get with just this much. The system is updated with three more additons, this will eventually be a skiff but for now this is the main system while I await for the custom enclosure that I designed to be made. One frame full and encased in my "Tool Bugs"
Ready to go! There will be a session with a friend this coming weekend. The side cheeks is from a leftover vinyl sample that I cut to size thanks to Tom's drawings. 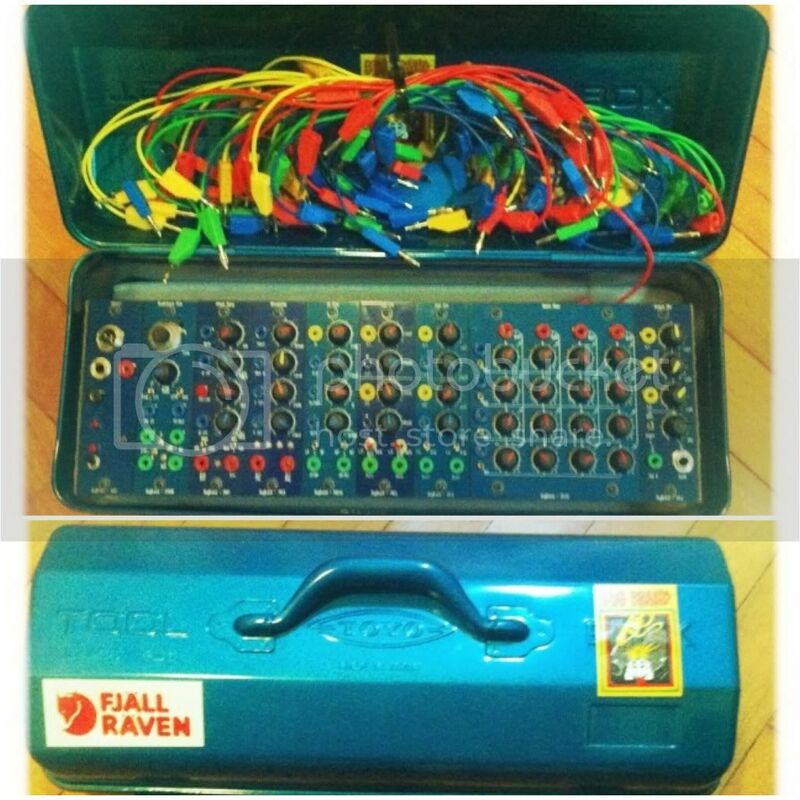 That looks like a great portable case - even some space for patch cables, neat. And perfect colour too! coming together slowly, but surely... few minijacks in there for the time being.